Renee Yohe is 19 years old. When friend Jamie Tworkowski finds her, a lethal mix of cocaine, pot, pills and alcohol is coursing through her veins. Unable to receive professional help, her friends try to save her from herself. 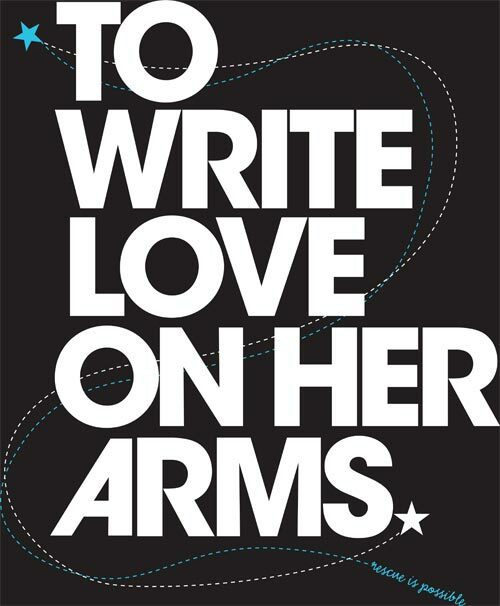 Yohe’s story would eventually become the basis for Tworkowski’s non-profit organization, To Write Love on Her Arms (TWLOHA). The organization talks to and raises money for young adults suffering from depression, thoughts of suicide, and self-injury. On this particular night, though, Tworkowski is merely a new acquaintance of Yohe’s. When he and others attempt to admit her into a rehabilitation center, they are turned away; Yohe must be sober to be admitted. She and her friends must wait five days for her to sober up before trying again. Those five days become symbolic of her rebirth; they are a new world away from the drugs, self-mutilation and sexual abuse that had haunted her for so long. Tworkowski’s compassion for Yohe has transformed into To Write Love on Her Arms. Created soon after his experience with Yohe in 2006, the Orlando, Florida-based organization began its slow process of reaching out, armed only with a MySpace account and a few t-shirts. The organization’s modest beginnings, however, soon caught the attention of Tworkowski’s friends — alternative bands, Switchfoot, Anberlin, and Between the Trees. Between the Trees’ vocalist Ryan Kirkland also happened to be close to Yohe. She is not alone in the thrill she gets from cutting herself. According to www.twloha.com, four percent of Americans suffer from self-injury, which not only includes cutting, but burning, bruising and scratching, as well. When asked if she has entertained committing suicide, the anonymous college junior replies, “I have, often. I like to sit and think of interesting ways to kill myself — like slitting my wrists and taking out the tendons in my ankles, so I can’t stand and slowly drown in my own blood.” Regardless of her graphic suicide fantasies and her experiences with self-cutting, she denies being clinically depressed. Even though his bouts with depression are fairly rare, thanks to the anti-depressant Zoloft, he joins the other 18 million Americans who suffer with this disease, according to The National Institute of Mental Health. Approximately two-thirds of these people never seek help. Depression, as expected, can also lead to suicide, particularly in teenagers. In fact, suicide is the third leading cause of death among 18-24 year olds, according to the National Adolescent Health Information Center. Aside from letting their t-shirts talk for them, TWLOHA has hired six full-time employees and eight full-time interns to answer their MySpace messages and e-mails. In total, TWLOHA has answered over 80,000 messages from 40 different countries. The organization also donates 25% of its revenue to treatment; in 2007 alone, $100,000 was donated to the National Hopeline Network, Teen Challenge, S.A.F.E. (Self Abuse Finally Ends) and Kids Help. 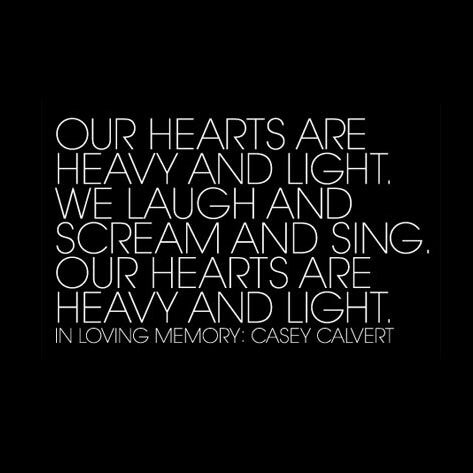 TWLOHA also just launched their Purpose for the Pain Tour. Between the Trees have been on the road with Yohe to help promote her new book, Purpose for the Pain, which is a collection of her journal entries from the past five years.